Workstation is not synonymous to a Desktop Computer. Workstation are for demanding technical or scientific applications, can be used by multiple users. You probably have noticed articles with titles like Virtualization Software for Server, Workstation and Desktop. There are reasons behind mentioning Server, Workstation and Desktop separately within the title. That is the target of the article – to make you understand, merely giving a desktop computer the title or part of model name for commercial usage never makes a desktop a workstation. First, all these names – Desktop, Workstation and Laptop – are actually microcomputers; a computer with a microprocessor as its CPU. Minicomputer is another niche. The actual minimum full fledged computer is at least a mainframe computer. If you ever thought that, computer has been a small, inexpensive commodities, you will be wrong. This Microcomputer was the reason of naming the company named Microsoft – microcomputer software. Still that old slash is present in their name logo – the S has an indentation. There is a bad joke about the etymology of Microsoft’s name. The person who composed the joke was probably quite well aware of the real etymology, it was coined by Bill Gates, it is for micro (computer). Neither computers has been small nor has been cheap. We use a smaller, less featured version of computer, that is the microcomputer and all of these – Workstation, Desktop and Laptop are microcomputers. This is the basic reason why, these days laptops actually performs with the same score when compared with a desktop of equivalent computing power. A bit different niche those Tablets – they are ARM processor based and the motherboard has big differences plus they are more inclined towards a server like configaration. But a Workstation is most powerful and feature rich when compared with a Desktop among the microcomputers. Workstation was developed in the 1980s in an independent computer form, by the major workstation manufacturers that time like Apollo, DEC, HP, Sun, SGI, NeXT; who managed to show the advantages of a workstation compared to multi-user systems used at that time. Most systems marketed with a workstation model name today are ordinary IBM-compatible high-end PC with an x86-64 processor. Server and workstation has Xeon and Opteron series of processors or AMD Opteron. A Workstation, typically in terms of hardware and software design are robust. The most common operating systems for workstation were historically one of the many classic Unix systems with X11 graphics system. More and more Workstation came later with free Unix like OS like Linux or Mac OS X. In terms of reliability of the hardware, a workstation is superior to the normal PC. Alienware Apple, IBM and others still has production of Workstation but they are advertised to the targeted buyers. Mac Pro is an example of Workstation – 12-core starts at $3799. 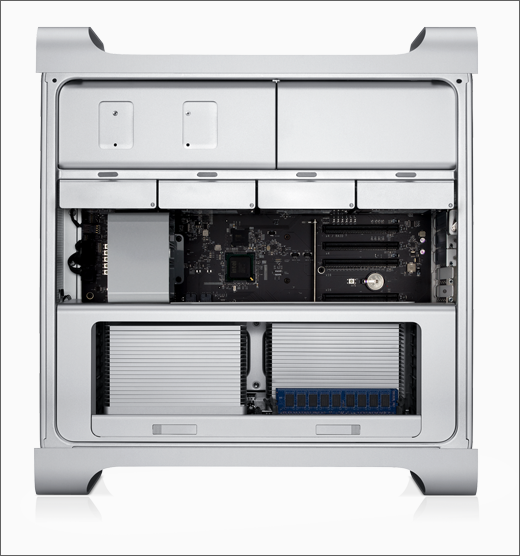 There is a fine line of difference of other Mac and PC from hardware design. This Article Has Been Shared 3416 Times! Cite this article as: Abhishek Ghosh, "Workstation Details and Difference With Desktop Computer," in The Customize Windows, October 27, 2012, April 23, 2019, https://thecustomizewindows.com/2012/10/workstation-details-and-difference-with-desktop-computer/.